Is a city of Morocco. It is located in the Draa-Tafilalet region. Huge oasis Erfoud is the capital of Tafilalet, north of Rissani, the birthplace of the Alawite dynasty. Erfoud is a new town founded in 1913 by the French, the well-ordered streets, with few traditional adobe houses. She is one of the two ends of the road Ziz through the tunnel of Foum Zabel, dug by the French Foreign Legion in 1928. In October, Erfoud becomes “Capital of date.” For three days Guetna animates the city. It is the feast of dates, to end the harvest. Folk dances and competitions of the most beautiful dates attract thousands of visitors. This festival has become the international exhibition dates from 2010. In addition to this city is rich geologically, with the plurality of fossils in the region. Is a saharan village located in south-eastern Morocco, 35 kilometers from Rissani, 50 km from Erfoud, and 50 kilometers from the Algerian border, 562 km from Marrakech, 602 km from Rabat (the capital national), 667 km from Casablanca and 669 km from Agadir (Atlantic coast). Merzouga is famous for its dunes, the highest in Morocco. 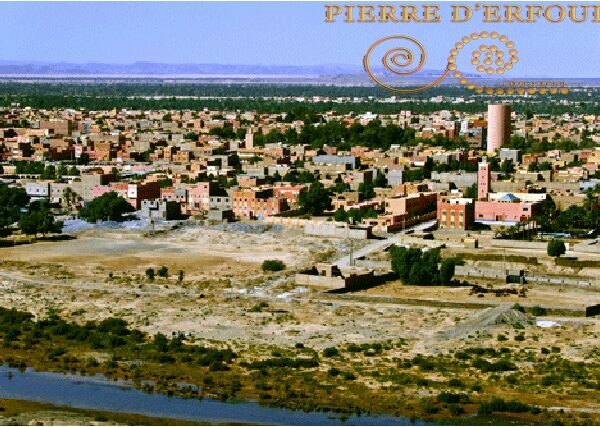 The village is adjacent to the largest effect of Morocco Erg Chebbi. Merzouga has become a tourist attraction of great importance for this region of Morocco, enabling the development of hotel industry, both locally and in nearby locations Errachidia and Erfoud. 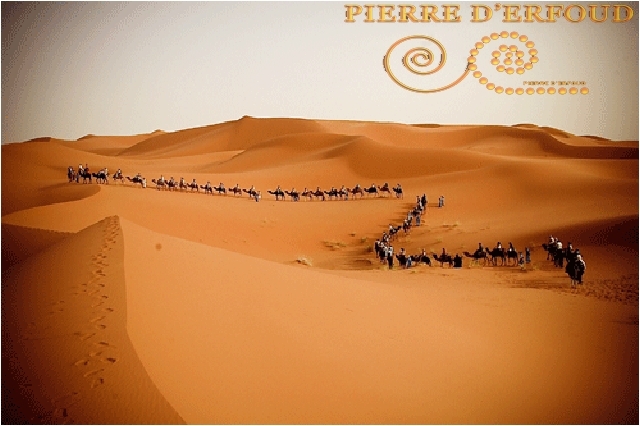 The activities offered to tourists are the camel trekking, bivouac in the desert, quad biking, and summer, arénothérapie (or sand bath) also called psammatothérapie.